Who says an office full of sales development nerds can’t get into the spirit of March Madness competition? While college basketball heats up this week with top-ranked teams having battled their way into the Sweet Sixteen, we are sharing our top choices for the best sales books that can up your sales game. 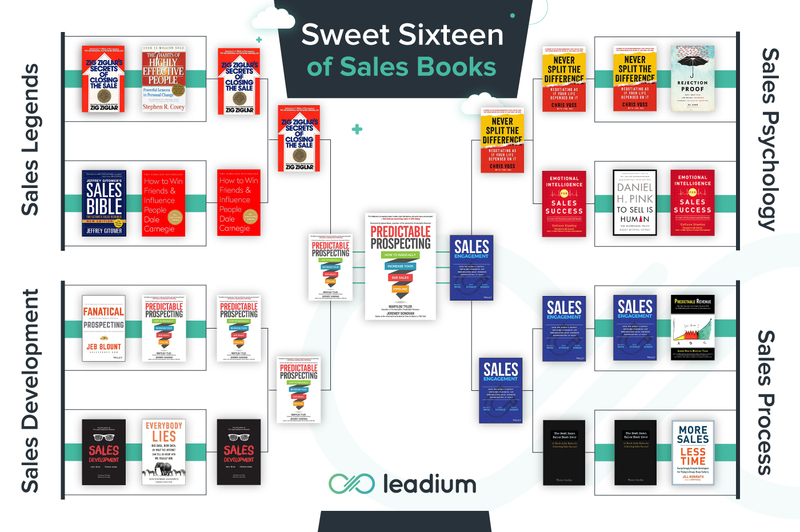 It’s the Sweet Sixteen of Sales Books! And we want to know - which one is your favorite? Every day we will feature book match-ups on our social media channels and ask you to vote on which one(s) you think should move forward in the bracket until there is an ultimate Sales Book champion! Voting begins Thursday, March 28th! Go to any one of our social channels to find the match-ups featured each day and vote there. We will tally the votes from every channel to determine face-offs for the next round. April 8th Update: Predictable Prospecting wins the Championship! We chose the books featured in our bracket using multiple expert sources including polling our founders and team members, customers, and colleagues for their choices, as well as pulling from must-read lists from leading sales leadership sites. These books have stood the test of time and the authors are considered true pioneers. They share foundational knowledge that every sales professional should put into practice whether it be in their personal or professional lives. 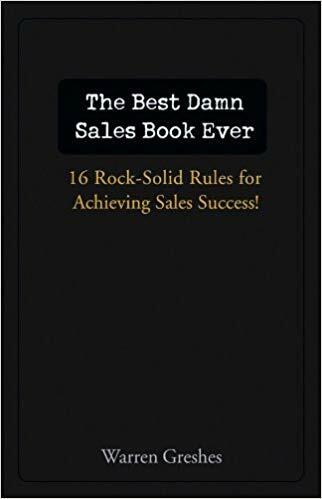 You simply cannot have a list of top sales books and not include Mr. Ziglar. His sales quotes have become immortal on motivational posters and images found across blogs and social media. 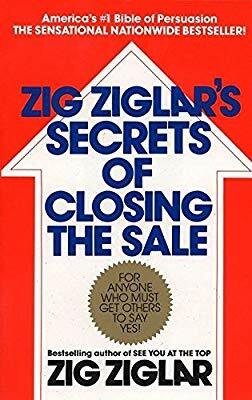 Ziglar gives advice for how to build strong relationships with prospects as well as the foundational principles of how to close a sale. Even though this book was published over 25 years ago, Covey’s productivity techniques are still relevant today - both for your professional and personal life. You will find inside the secrets to developing the habits you need to be a successful (sales) person, how to understand and empathize with everyone you meet, and how to set actionable (sales) goals. If you are feeling like you need a fine-tune to your daily habits to be your most effective, pick this one up! It belongs in the “Legends” category because, well, it was written in the 1930s. But believe us, the principles found in Carnegie’s book are timeless. 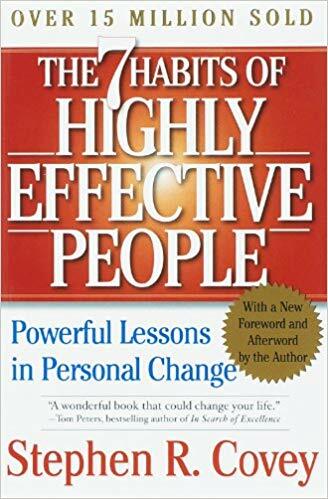 Like most of the books in this category, the advice found in these pages aren’t only applicable to salespeople, but to really anyone looking to improve their personal and professional lives and relationships. 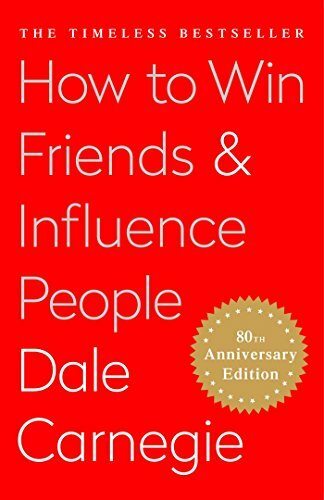 Carnegie gives you six ways to make people like you, the twelve ways to win people to your way of thinking, and the nine ways to change people without arousing resentment. Want to genuinely get along with people better? Read this book. This is the youngest book in the “Legends” category by far having been first published in 1994 with a revised edition published in 2003. 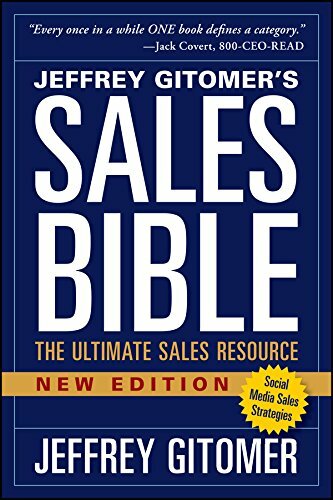 But we like Gitomer’s sales methods that work for every day, real-world selling. For anyone new to sales, this is a great, easy-to-read book that gives the need-know techniques for starting conversations, maintaining relationships, and turning prospects into customers. We might be a little biased here at Leadium, but this is probably our favorite category...er, region. After all, we are the leaders in filling sales pipelines with human-sourced, high-quality leads. Here are four books with leading strategies and insights on prospecting, lead generation, and what data reveals about the people (leads) you are trying to reach on a daily basis. So you want a job in sales? You’re likely going to start in the Sales Development Representative (SDR) role or somewhere similar. And unlike your friend that decided to go to nursing school, law school, or become an accountant, there really was no “major” or courses in college on how to sell. But you know it’s something that you would be good at, and even more important, that it can be very lucrative. Read Bray’s book before that first interview. 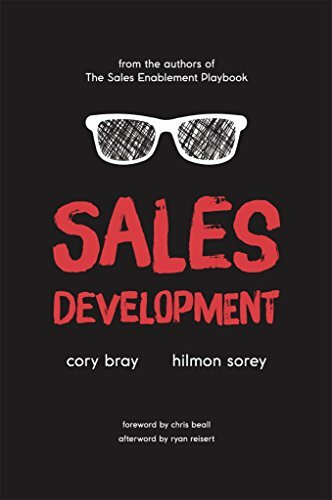 It gives the insights you need to know about sales development to get the job, succeed, and advance. This book was hand-picked to be on the list by our Co-Founder, Sergey. If he’s reading, it’s usually a sales development related book and this one is at the top of his list. 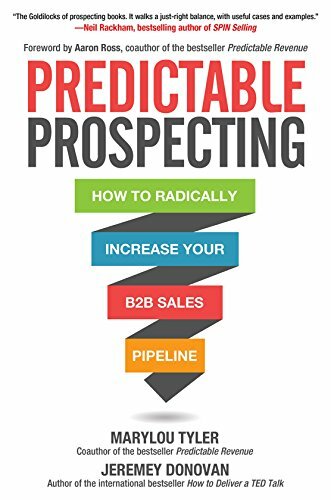 Based on the model of Predictable Revenue (also on our Sweet Sixteen list), this book gives B2B sales teams the strategies to build a sustainable pipeline. Learn how to target and track ideal prospects, optimize contact acquisition, continually improve performance, and achieve your revenue goals—quickly, efficiently, and predictably. It also includes templates, materials, worksheets, and blueprints for your team to use and customize. We’re data geeks over here at Leadium - we’ve built a business on researching and finding the most accurate prospect data for any customer profile you could think of. 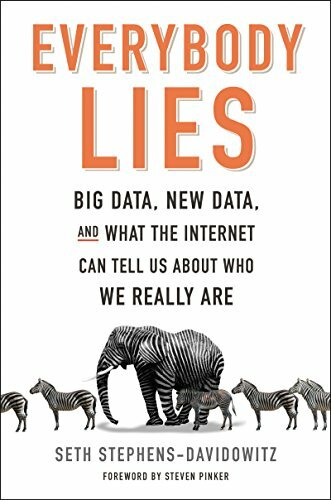 It’s no surprise that a book about data and what it says about how we think and feel as humans would be on our list of top sales books. After all, the people (prospects) we are trying to reach have been touched by big data in some way - what does it reveal about them? What does it reveal about you? 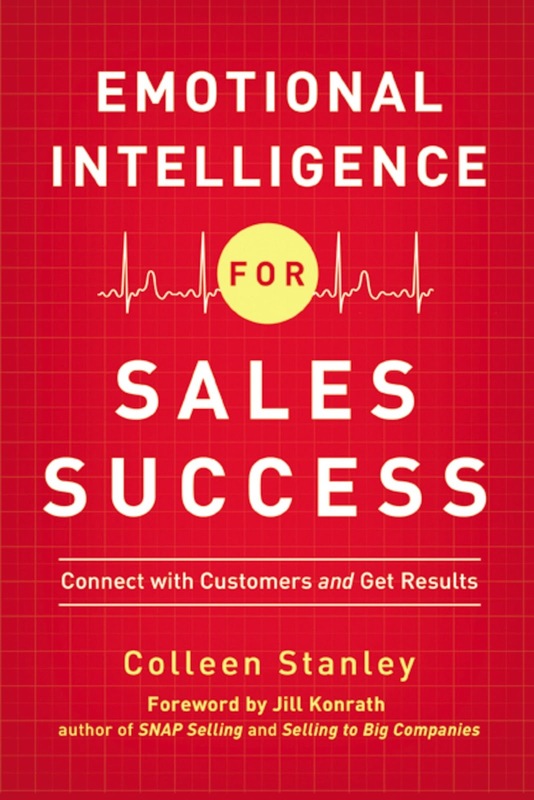 A sales development category would not be complete without a second book on prospecting, right? Again, an empty pipeline is a business killer and the only way to fill that pipeline is through one of the most important activities in sales - prospecting. 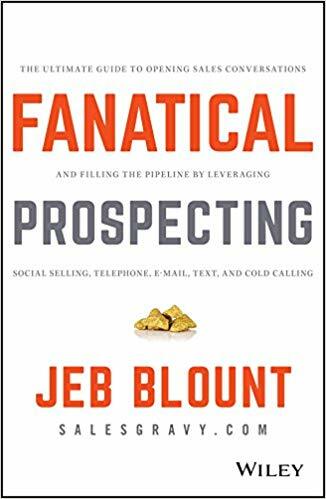 Blount gives a practical, real-world methodology for avoiding sales slumps by leveraging a balanced prospecting methodology across multiple prospecting channels including social selling, calling, emailing, and even texting. Sales processes and methodologies are valuable to run a successful sales organization.  But when it comes to the 1:1 human interaction that salespeople have every day with prospects, how can we better understand how people make decisions - emotionally and mentally? These are our top choices that reveal more about how we operate as humans. If you want to learn how to cook the perfect steak, buy a steak cookbook by a master chef - that’s understood. 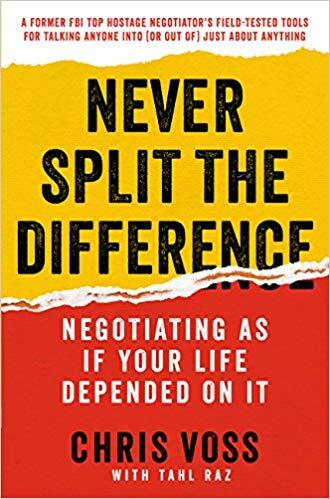 Therefore, if you want to get better with your negotiation skills in sales, it goes without saying a former international hostage negotiator for the FBI would be a great teacher. Whoa buddy, why are you getting so defensive? Do you ever catch yourself becoming defensive on a call or in a demo when a prospect challenges you on pricing or competitor comparisons? Stanley gives you tips on how to sharpen your emotional intelligence - which studies find correlates to success - and overcome tough selling encounters. 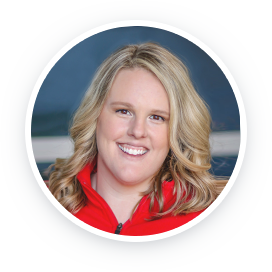 You'll learn how to increase impulse control for better questioning and listening, develop empathy to close bigger sales, and even how to improve your prospecting efforts. The cover of this book is perfect. In sales, sometimes you feel like you have a bunch of “no’s” raining down on you every day - and that rejection can weigh heavily on you if you don’t have the mental strength to keep moving forward to the next prospect, the next sale. 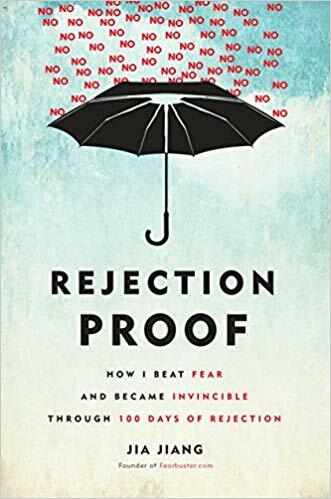 Jiang spent 100 days willfully seeking rejection to overcome his fear of being told, “no.” Through that time he learned, and shares in this book, the secret of successful asking, how to pick targets, and how to tell when an initial no can be converted into something positive. Everyone sells. Think about it - we’re coworkers pitching an idea to our department, a small business owner pitching an investor, or a parent trying to get their kid to eat broccoli. 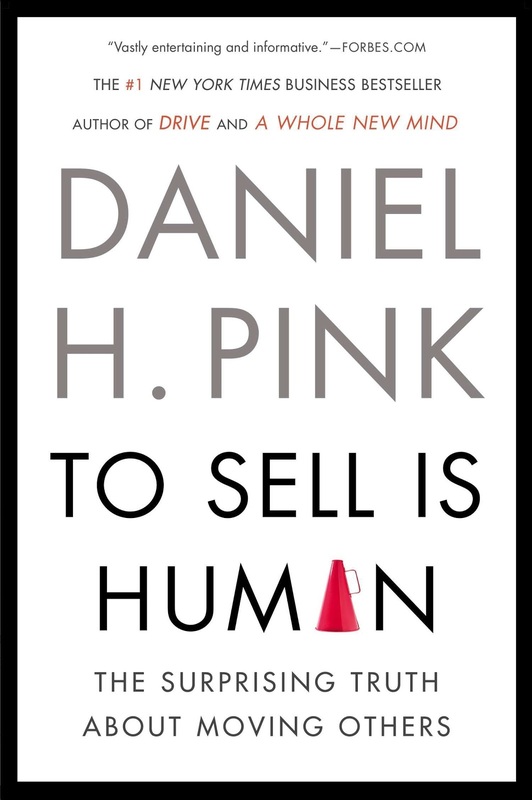 It’s not just salespeople who “sell.” Pink brings a modern, fresh, social-science perspective to the psychology of selling. He describes the six successors to the elevator pitch, the three rules for understanding another's perspective, the five frames that can make your message clearer and more persuasive, and much more. 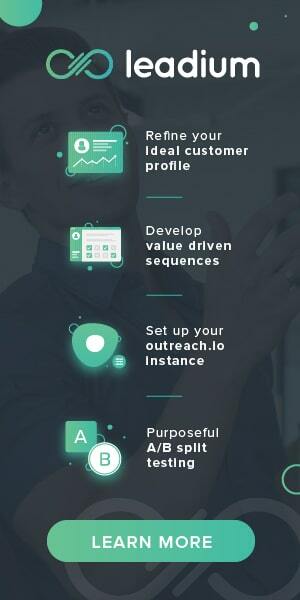 If you aren’t building an automated, scalable sales machine these days, you’re doing it wrong. There is so much technology, human talent, and resources available at the click of a mouse to be able to build the custom strategy that works best for your business. Here are four books that will help you explore sales process and strategy options. If you follow us at all, you know that we are total BFFs with Outreach. We have some really good reasons for why we just can’t get enough of these guys. Hot off the presses this month, Sales Engagement contains perspectives from revenue-generating royalty, thought leaders, customers, partners, practitioners, and executives representing a vast array of companies of various sizes and industries. It’s packed with sales advice, insights, and topics including channel optimization, humanizing sales with personas, A/B testing success factors, metrics to measure a modern sales organization, ways to ramp new sales reps faster, and more. Sellers can be overwhelmed in the digital age when buyers expect quick replies, and even faster results. Not to mention, your quotas keep increasing, your administrative tasks are overflowing on your to-do list, and you need to keep up to date on the changes happening daily in your industry to stay relevant. There’s just no time to get it all done. Salespeople need their own productivity guidelines adapted to the fast-paced, always-on sales world. So Konrath experimented relentlessly to discover the best time-savers and sales hacks in order to deliver the first productivity guide specifically for sales success. 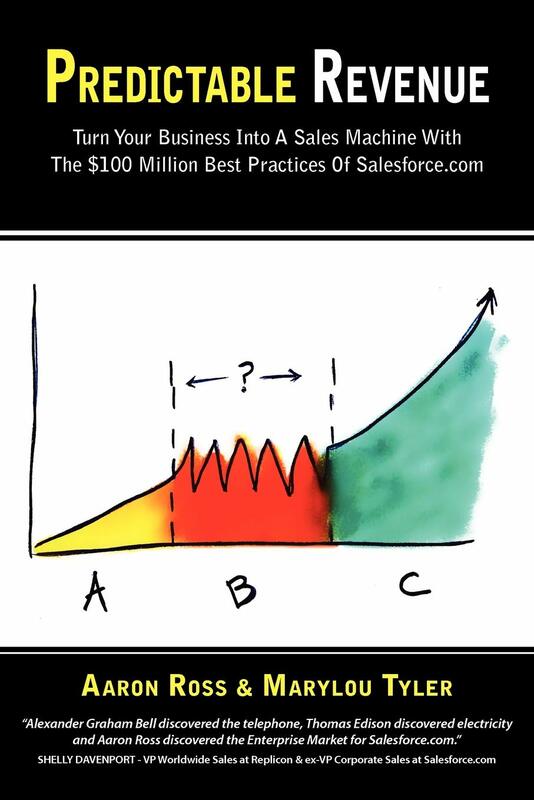 Another book handpicked by Co-Founder, Sergey, this book reveals the outbound sales process that helped Salesforce.com add $100M in recurring revenue in just a few years. Unless you’re living under a rock, you know that if Salesforce is doing it, you should probably take notes. 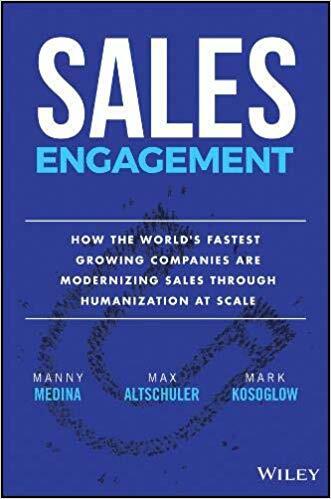 This is a great book especially for sales leadership to learn how to build a sales machine, and even more importantly, a sales culture, that everyone (both your company and customers) will love. Gotta love a straight-forward (and a little bit cocky) title - you know your audience Mr. Greshes. 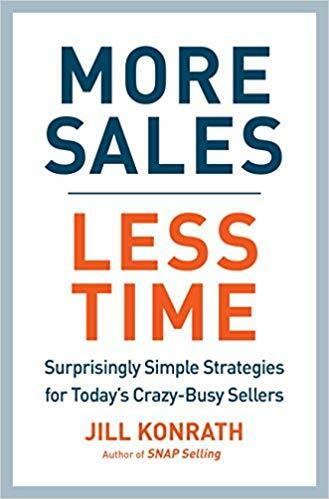 Did you know that no matter how many of the books above that you read or how many tricks you have in your salesperson arsenal that if you lack pure motivation to sell, you will not succeed in sales. We put Greshes book in the “Process” category because he shows you how to design a set of goals and an action plan that will help you focus your efforts and stay on a successful track.